I use lots of facebook groups like MassageNerd group to gather information and insight on my profession. Over time it gives me a chance to see various themes and perspectives on the massage industry. Here are some of the topics that massage brings up again and again: sexuality, intimacy, communication, hygiene and homophobia. It’s got it all, teasing homoeroticism between Vincent and Jules while touching on the intimacy and nurturing touch given to Jules grandmother. Jules expresses his physical mastery by not tickling during his masterly foot massage and the anger involved in perceived infidelity by someone else touching Marsellus Wallace’s wife is mentioned. I see the concepts so often it grows old and tired but at least Tarantino exists in a realm where he can express the reality through drama and wonderful dialogue. Massage and bodywork is not what you think it is. 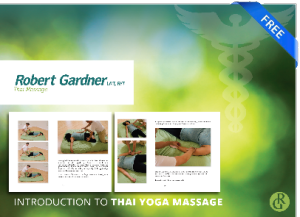 Thai massage is above and beyond, a completely different beast. In our culture it does not exist. Not yet.